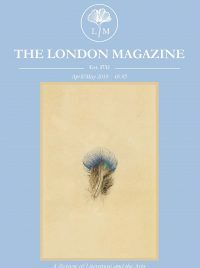 The London Magazine interviews Peter Stjernström, the Swedish author of Enn Mann and The Big Newsmaker and now The Best Book in the World, to be published this September by Hesperus Press who gave us the best-selling book: The Hundred-Year-Old-Man Who Climbed Out of the Window and Disappeared. Do you think that the best book in the world exists? Or is it purely subjective? I my opinion there are no absolute truths about quality. What you experience depends on your own references, the cultural climate of our times and such things. So, it’s up to you to decide which book is the best in the world. You’re in charge! Your character Eddie X has a multi-dimensional persona. What do you think is Eddie’s downfall or major flaw? He has built his career on love, he is a master at describing it and promoting it. I have met a lot of his kind over the years and they’re almost always terrible at even practicing the most basic common sense. And they really don’t know anything about the reciprocity of love. Eddie’s problem is that he can no longer hide who he is. The stress from the book project cracks him open. The book took a bit of a dark turn in the basement scene – for what reason(s) did you choose to do this? Titus is an alcoholic. Sadly, they always seem to have to hit rock bottom before they can find themselves again. It’s not only a cliché. If you look at an addict with your emotions shut off he or she can almost look funny, right? But it’s not. It’s a matter of life or death. I wanted to spend time in that area, between sorrow and laughter. Between on and off. Does a breathalyzer activating computer actually exist?! And if not, do you think it should?! No, but hopefully we will see a lot of cars in the future with that kind of equipment. Do you need as much discipline to write a book as Titus did in the book? Do you think Titus and Eddie would ever have been able to produce The Best Book in the World together? I leave that question to the readers to decide. Do you think that some things can be lost in a book that has been translated? Generally speaking, I guess it might. But in this case, from my Swedish pidgin point of view I think the translator Rod Bradbury has done a tremendous job. The book conveys a very close relationship between publisher and author, such as the one Astra has with both Eddie and Titus, do you think this is a true representation of modern day publishers in your experience? I see a great variety. But overall I think the relationships are becoming more distant because of time shortage and increasing focus on economy. The Booksellerhas called your book ‘a quirky comedy’ but the book also appears to give quite a bit of moral instruction – was that intentional? Every single word in the book is there for a reason. However, and this is the truth, I have absolutely no intention to point out any moral guidelines. Finally, I find it interesting that you tired of your career in the financial industry and gave it up to write – was that always the plan, and is being a writer what you hoped it would be? I never dared to think it or say it out loud. When I finally did my life changed drastically.